The Jubilee Ministry Center at St. Augustine’s Church – Asbury Park St. Augustine’s is a Historically African American Church located in the west side of Asbury Park. Due to the diversity of the congregation and community, worship service includes anthems from the Lift Every Voice And Sing (LEVAS) Hymnal with an infusion of “jazz in the afternoons.” The congregation has sponsored a Black History Month Program for more than twenty years in collaboration with numerous individuals and churches in the area. Through this annual program, they recount and celebrate the achievements of the Rev. Dr. Martin Luther King Jr., and the Civil Rights Movement. After many years of waiting for a full-time priest, the congregation was blessed this year to receive The Rev. Dr. William Ndishabandi, Priest-In-Charge. This video gives a clear image of how this community meets the needs of the people in the community, with their various works of charity and social justice AND with their love and compassion exemplified by our Lord and Savior Jesus Christ. We applaud the work of St. Augustine’s in Asbury Park and all our Jubilee Centers; look for a different featured center next month! For more on our Jubilee Centers, click here. 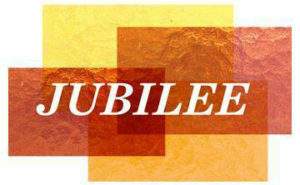 For information on becoming a Jubilee Center, please contact Canon Clara Gregory, Diocesan Jubilee Officer.